Classes Friday, Saturday and Sunday. Also includes overnight accomodations, food, hafla, show and fun! Also includes dinner, show and hafla. 2 hours of classes Thursday, dinner, 2 hours of classes Friday morning, breakfast and lunch! Overnight pricing includes linens and bedding. But don't forget to bring your towel! You never know when you might need a towel. 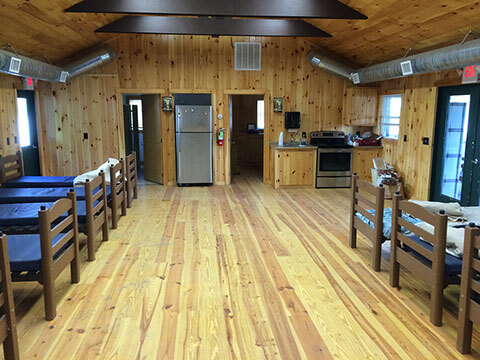 Lodges are heated, Quads and Cabins are not. You'll want to bring a sleeping bag. Keep in mind that this is a camp! It's meant for kids. You may also want to bring a foam matress/pad. The camp chef is excellent about dietary restrictions don't be shy about letting us know. We will do our best to accomodate you. You must fill out the form to register. (regardless of how you are paying). You can pay with PayPal or Amazon Payments. Lookup my info from last year. Are you coming as a groupe/troupe if so, which one? If you don't have a group/troupe name, use the person's name. Leave this blank if you are not coming with a groupe/troupe. Leave this blank if you do not have any. • You can take whatever classes you want! • We're just trying to estimate class sizes and which space to use at the camp. • Performance slots are already filled up. This is to be put on the waiting list. • If you are part of a troupe, only have your troupe leader say yes. • If you are part of a group that is performing, you can not also have a solo slot. Do you need a pickup from the Cold Spring train station? • There will be 2 pickups on Friday. • There will be 2 drop-offs on Sunday. Who should we contact if there is an emergency? What is the best phone number to reach them? Lodges sleep up to 12 people. One big room that is heated. Also has kitchen and bathroom/showers. Quads sleep 4 people. There is a seperate bathroom and shower building right near you. Quads are not heated. 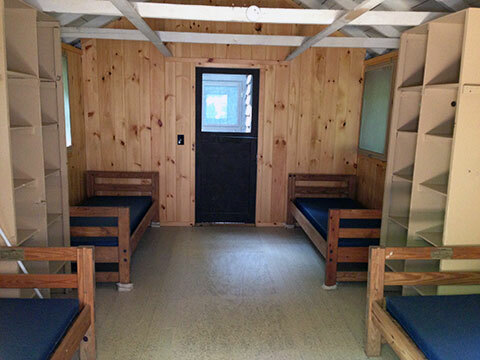 Cabins have 2 rooms. Each room has a double bed (Nurses has 3). Great for 2 couples. They have their own bathroom and showers. • We wanted to let people pick the same place they stayed in last time. • Coming with a group? Pick a place ahead of time and all register! • If you're new this year we can pick an accomodation for you. Quads - Sleeps 4 people. There is a seperate bathroom and shower building right near you. Lodges - Sleeps up to 12. One big room that is heated. Also has kitchen and bathroom/showers. House/Cabin - Fits 2 couples. They have their own bathroom and showers. Some have a working kitchen. Each room has 1 double bed. Nearby - Close to the classes. Please save these for people with mobility issues. Couples - Cabin's have double size beds and usually fit 2 couples. Boys - If you are a guy by yourself, you must pick this spot. Early Sleepers - If you go to bed early, choose this cabin. Snorers - For those who snore. • Leave this blank if you don't have a coupon. • You can only use one. • We will just be bringing what people order. Any comment or note to us? Any other issues, need pickup from train/bus station, etc. Your payment is non-refundable under any circumstances, but you can transfer your registration to another camper. THE FOLLOWING DESCRIBES THE TERMS ON WHICH PROVIDERS: MONICA "MIMI" FONTANA / MANHATTAN TRIBAL BELLY DANCE, CARMINE GUIDA, AND SURPRISE LAKE CAMP OFFER YOU ACCESS TO OUR SERVICES PROVIDERS WILL HEARAFTER BE REFERED TO AS: "NEATSCAMP". 1. I recognize that the workshops and classes of the type I intend to participate in requires physical exertion which may be strenuous and may cause physical injury, and I am fully aware of the risks and hazards involved. 2. I understand that is my responsibility to consult a physician prior to and regarding my participation in any classes I attend at the event. I represent that I am physically fit and have no medical condition that would prevent my full participation in any such class. 3. I agree to take full responsibility for any risks, injuries or damages known or unknown which I incur, or may incur, as a result of participation in any class or activity at the event. 4. I knowingly and voluntarily waive any and all claims I have, or may at any time in the future have, against NEATSCAMP or any of their instructors, agents, or employees, for any injury or damage that I sustain as a result of my participation in the NEATSCAMP weekend retreat. I agree to respect the camp property and to cause no damage to such property. Electronic Signature: Enter your full legal name below to agree to the waiver.